More than a trend, it has become a well-known fact that each year, more and more Americans have started to look for other options abroad for their dental treatments. What drives this, is the search for a better quality of life through affordable dental care since getting their treatments done at their local dentist has become really expensive. Costa Rica has become a very popular dental care destination as a result of being a beautiful country with many things to offer to its visitors and tourists. It has also developed into a nation with a high rate of world class educated professionals and state of the art facilities. Also, its political stability and American friendly nature, makes our Country the best choice for your dental travels. "He is conservative in his approach. He will not recommend more work than is needed. He enjoys his work and he is highly skilled at what he does." 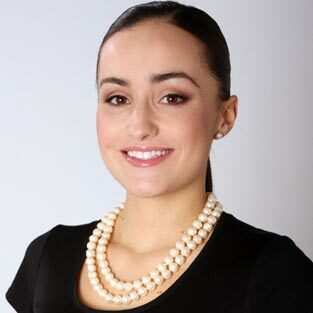 "I was impressed with Dr. Brenes from our first conversation. The focus was on my dental care. He took more time with me than any US based dentist has ever taken to discuss my care." "Dr. Brenes is one of the nicest people you would want to meet; I was so lucky to have gotten him to work on my teeth. He has my highest regards and in my opinion he is one of a kind." Advance Dental Costa Rica is located in beautiful Costa Rica. Our Costa Rica dental office can be found at CIMA Hospital, a medical center with JCI approval. Our goal is to offer personalized high quality services at a fair price, with a high rate of success and predictability. We provide personalized, English spoken, appropriate care for patients traveling to Advance Dental Costa Rica from outside Costa Rica…. If you are interested in getting a tentative treatment plan from us, please don´t hesitate to get in touch with us. 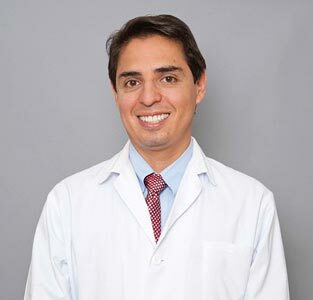 All of our patients´ cases and treatment plans are personally revised by our Director, Dr. Brenes. We take care of you before, during and after your visit with everything from appointment scheduling and financial information to travel assistance and concierge services….. Learn more about our pre-evaluation process and teeth cleaning procedures. Our Costa Rica dental team is a highly qualified staff in all dental specialties, so we can guarantee success in your treatments. Why we are your most trusted option in Costa Rica? Advance Dental Costa Rica is you number one choice when it comes to a Costa Rica Dental Care Clinic. It is managed by a US trained specialist and offers the same top quality procedures that are available at your local dentist, but with the difference that when done at our office they are affordable and more likely to become a reality. Our Director, Dr. Eugenio J. Brenes, D.D.S., M.S., did his training at Loma Linda University where we had the opportunity to learn from the best. His world-renowned training and compassionate personality makes him the most qualified option for getting your Costa Rica dental treatment. Dr. Brenes is considered by many one of the best dentists in Costa Rica. When scheduling your dental procedures with Advance Dental Costa Rica, you’ll notice that not only will you be receiving top quality service but you will also find that our dental procedures costs are much lower than what you can find in the United States or other countries. Compared to the US, Costa Rica dental costs are up to 50% less in some treatments, making us an affordable option for world class dental treatments. Over the past years, there has been an increase in dental tourism in Costa Rica, and so has our office. Each year, more and more people are convinced that traveling abroad to get your dental procedure done is a great idea and the best option if you want to receive affordable dental care is getting done at Advance Dental Costa Rica. We have real patients that are willing to share their testimonials with you. Our teeth work like sponges, this means they will trap stains and may even accquire a different color after a long period of consuming food containing food coloring, sodas, coffee, among others. The good news is that the brightness of our teeth can be restored with an Advanced Prophylaxis; a procedure that is recommended you get done every 6 months so that you will have healthier teeth and gums. If you would like to change the color from within, then a Dental Whitening is the procedure for you! Composite restorations also known as dental fillings, are the go to procedure when it comes to finding a conservative and aesthetic option for teeth that have suffered cavities or small imperfections. Dr. Brenes is a specialist at using the techinque The Natural Layering Concept that will provide you with enhanced restorations and a natural look. Porcelain Veneers are our recommendation for people who are not pleased with the color, look, size, shape and/or length of their current teeth. When referring to veneers, we are talking about small porcelain restorations that cemented in a permanet way to your teeth. Dental Crowns are used when a patient presents a tooth that requires a big modification. This Costa Rica dental procedure is ideal for when a cavity covers more than half of the tooth, or when it received a trauma that’s the same size of the tooth. They are commonly used when it is necesarry to modify or restore the previuos shape of a tooth. Are you missing a tooth and need it replaced? Then a dental bridge is one of the best solutions out there for you. It is used when a tooth is missing and when you have 2 or more teeth next to the empty space that is going to get restored. You would need to come in for 4 appointments to get your Costa Rica dental bridge. Last but not least, we have the dental implants. They are you treatment of choice for when one or more teeth need to be replaced, it doesn´t matter how they were lost. The treatment consists of two phases: the surgical one and the restoration; which means you would need to make two trips to our office in Costa Rica. This is our most sought after Costa Rica dental procedure. Copyright © 2019 - Advance Dental Costa Rica.